A lightweight championship bout between Eddie Alvarez and Conor McGregor will headline UFC 205 on Nov. 12 at Madison Square Garden. UFC officials confirmed the 155-pound title fight to ESPN on Monday. The UFC 205 pay-per-view is historic in that it marks the promotion's first trip to New York since a 1997 ban on professional mixed martial arts was lifted earlier this year. McGregor (20-3), the current featherweight champion, will attempt to join BJ Penn and Randy Couture as the only fighters in UFC history to win titles in multiple weight classes. 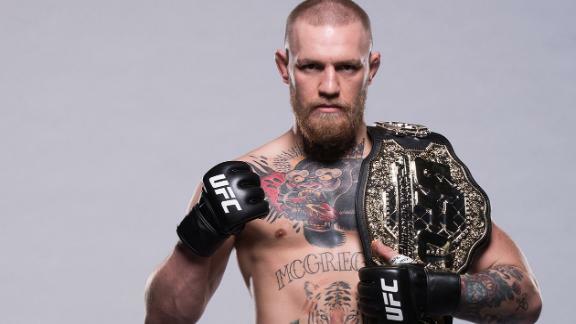 Per UFC president Dana White, McGregor will retain his featherweight championship through UFC 205, meaning he has the chance to become the first ever to hold those belts simultaneously. "This is the fight the fans wanted, and I'm excited that our very first event at Madison Square Garden will be headlined by Eddie Alvarez defending the lightweight title against Conor McGregor," White told ESPN. "This card has three world title fights and is the best card in UFC history." The Irish superstar won the featherweight crown in December by knocking out longtime 145-pound kingpin Jose Aldo in 13 seconds. The victory remains the fastest finish in UFC title fight history. McGregor, 28, was actually supposed to chase this piece of history at UFC 196 in March, but a lightweight championship fight against then-champion Rafael dos Anjos fell through because of injury. McGregor elected to remain on the card and fought Nate Diaz, who accepted on 11 days' notice, at welterweight. Diaz handed McGregor his first loss in the UFC via second-round submission. Rather than head back down in weight, McGregor demanded an immediate 170-pound rematch against Diaz (19-11). He won the second fight via majority decision at UFC 202 in August. Alvarez (28-4) won the title in a first-round knockout over dos Anjos in July. The 32-year-old Philadelphia native also has held a 155-pound title in Bellator MMA. Alvarez publicly campaigned for a fight against McGregor, even though White briefly targeted a bout between Alvarez and Khabib Nurmagomedov. In addition to the lightweight title fight, defending welterweight champion Tyron Woodley (16-3) is scheduled to fight Stephen Thompson (13-1), and female strawweight titleholder Joanna Jedrzejczyk (12-0) will face off against fellow Polish striker Karolina Kowalkiewicz (10-0). 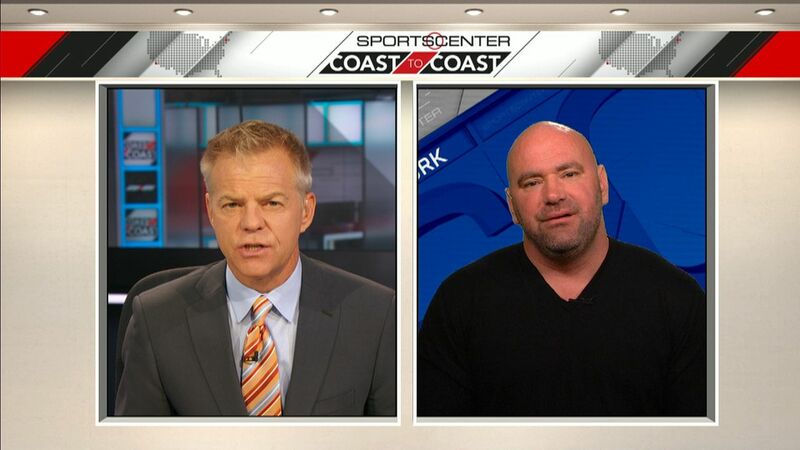 Dana White addresses the speculation around Conor McGregor being stripped of his featherweight title and explains that McGregor will give up one of his titles if he wins UFC 205. UFC featherweight champion Conor McGregor (20-3) seeks to become the first to actively hold belts in two weight classes when he faces lightweight champ Eddie Alvarez (28-4) at UFC 205. The bout headlines the UFC's first-ever trip to Madison Square Garden.